Just back from a month’s holiday in the Caribbean, I’m starting today as I mean to go on throughout 2011 – by not working. This is rather a strange place for me to find myself in. I went to work when I was 18, that will be 38 years ago this year. In the main I have loved all of it, the money I’ve earned, the businesses I’ve started and sold on, the people I’ve met and learned from, the friendships made and lost, the relationships enjoyed and lost, my beloved entrepreneur clients – all of it. But somewhere along the way, I became a workaholic. I’m not so bad now as I used to be during the first 20 years, but it creeps up on you again and so easily. In this day and age of brilliant communications gadgets, all of which I LOVE, it becomes harder and harder to carve out any personal time as people come to expect an instant response to their needs, 24/7 – even during the Christmas holidays as the in-betweeners get set for their New Year. And I acknowledge my part in allowing them to think that was OK. It’s not. So I am going to take a whole year off. I am going to create a gap. I can’t wait and I don’t kid myself it will be easy. I anticipate it being just another 365 daily steps on my journey of personal development. I took some time out yesterday with my old pal Marion Ryan to work on some ideas around what we each want and don’t want in 2011. The trick, of course, is to focus on what you want not on what you don’t want. Here are some first thoughts, which I hope to hone as the year goes on. Everyone wants to know what I am going to do. Listen very carefully, I shall say this only once (again). I am not going to do anything, that’s the point. And if that doesn’t make sense to you, then you are not getting this and there’s no reason on God’s earth why you should, to be honest, only I need to do that. But the trick, for me, is to avoid getting sucked into doing. Instead I want to define myself by who I am being – or becoming. In a discussion with my sister-in-law over the holidays, we worked out that it no longer serves any of us to say to strangers at parties “what do you do?”. This may have worked in our earlier lives, but once in your Fifties many of your pals either don’t work, or don’t need to work, or don’t choose to work, or have never worked. So what’s a better question to ask people? “Tell me about yourself” and then let them tell you what really lights them up, what they are really all about? I did hear somewhere this week that most people are miserable at work. I don’t doubt it. Those of us who are self-employed often kid ourselves we love most of what we do and certainly it is possible to make self-employment as comfortable as it is possible to be during working hours. Its different, certainly, but is it really better? The hours are often longer, there’s lots of uncertainty, many find it lonely, there’s no paycheck at the end of the month and no guaranteed benefits or outcomes. Nothing is forever, even in a job these days. Perhaps especially in a job. So we really must find another way to be. Or I must at any rate. Once your egg-timer is the other way up, this becomes even more important, not to waste any more time paying lip service to anything which doesn’t make you deliriously happy most of the time. In the Caribbean, on my favourite island of St Martin (SXM for short) once again, I often looked up from my floating chair in the pool, from reading my Kindle, and said to my companion “I’m really happy here” and she said “I know you are”. That’s what I want to aim for every day, to be happy, to know that I am and to acknowledge it out loud. And in any day when I can’t feel that, to spend some time working out what I can do to get back to that happiness again. Of course, it only takes the simplest of things to be happy. But you do have to have the time available to notice it, which is why I need to create a gap. I’ve long been after peace and quiet and I am content to report I now have bucketloads of that in my life. In discussion with Marion yesterday, freedom emerged as an important word to me, zen another. Freedom to put myself first for a change, zen to be like Mitsy (my cat), living exclusively in the moment when she’s not snoozing. Thinking about it, I don’t think I’ve truly felt free for years. Years of duty, commitment and dedication to others. And now I feel the need to set up for myself some guidelines, without them becoming rules because rules = WORK! I notice that when I have time, I enjoy doing jobs around the house. I get a strange buzz from completing tasks which improve my environment, a sort of domestic self-care; popping to the sorting office, ordering groceries online, replacing lightbulbs, clutter-clearing, washing-up, cooking, ticking things off my To Do list. But I notice I find it difficult to do only one of these things at a time. Years of frantic busyness have made me a chronic multi-tasker. And that’s where the zen comes in. I want to stop that. I want to perfect the art of doing one thing at once. Not to rush into implementing any brilliant new business ideas. I expect to have them of course, I just can’t implement them during my gap year as that would be work. I will not exchange time for money except in seeing through my commitments to existing 2010 clients due to finish their coaching with me in the first part of this year. Y’all know me well enough to know there will be no reduction in commitment to you guys. Finishing up with that handful of beloved and intrepid entrepreneurs will mark the end of my business as a coach/mentor, as currently manifest at least. I will spend a good part of each week managing my investments. I expect this to become my new “work” in 2012 onwards, and if I play my financial cards right I may never have to return to the world of the old work ever again. I anticipate it becoming ever more interesting, exciting and challenging as I learn new things and meet more smart and successful people. This will stimulate my brain but possibly not take up much more than about 1 to 1.5 days per week and only for the first part of the year. Once the investments are made, I shall only have to monitor them, passively. I shall have time available to spend with those of my choosing. In the main, they will have to travel to me in Streatham Hill. I won’t be going to meetings and I won’t be dressing up in my proper old London clothes, so you may have to take me as you find me, in tracky bottoms likely as not, and my new Xmassy cashmere socks (pink). Sorry about that in advance but all my proper old work clothes are about to be clutter-cleared. I would like to write a daily journal for my private consumption only. I bought myself a Mont Blanc stylo duty-free on the plane on the way home, specifically for this purpose. 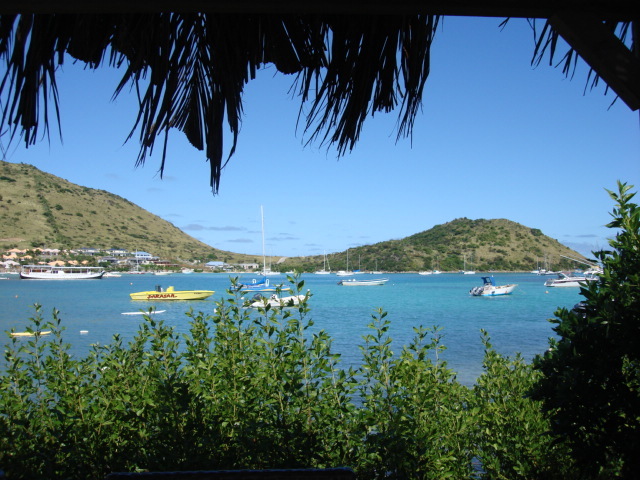 I intend to spend a lot more time in St Martin, starting with 2-3 months during the gap year. See below for a photo which makes it abundantly clear why I would want to do that. I also love that the daily 30 degree temperature enforces doing less and being more, not so much that it melts my toothpaste! I spent the majority of the first thirteen years of my life in the sun and when I go back to the warmth I just feel naturally at home. Since your formative years are so important in the development of who you become as a human being, its no surprise really, is it? My only wonder is that I have resisted it for so long, resisted embracing it in a bigger way than just holidays. But I’ve had too many commitments here, work, businesses, friends, family, clients. Tell you what I need – a gap! The most important challenge would appear to be not simply to fill up the precious time, I want to take the time to choose how I spend it and particularly with whom. I expect there to be oodles of alone time this year, and time to read more and lots of catch-up time with pals who have been neglected whilst I have been working so hard in the last few years particularly. The one area where I am creating some rules is around email, my primary contact with the world. I may implement the Mark Forster system of collecting them all today and replying to them all tomorrow, so correspondents may expect a 24-hour turnaround not an instant reply. I will only be doing them Monday-Friday, so none at weekends or during holidays. And I shall only be spending half a day at my computer, morning or afternoon, not both. I find that all the best things happen to me when I am not sitting over a hot laptop trying to make it happen. So I will be getting out and about more, on adventures. My Smartphone, which relays all emails to me, has stopped working 100% efficiently. Good, its a sign. During my gap year I shall revert to using it only as a phone, I shan’t need to have my emails follow me wherever I go. FFS. Many have written asking me to blog the journey. I shall certainly try de temps en temps. Whether or not I am successful, I don’t know. I won’t promise but I do love to write and communicate with the written word so I may give it a go. I do plan eventually to live in St Martin for a good chunk of each year and once there I shall want to improve my French, and do a lot of messing about in boats, maybe learning to sail, definitely learning to handle an outboard motor with confidence. I could start all of those this year in the 2-3 months there. That’s about it for now, the plan is no more honed than that. And it’s enough to make me happy today. Oh, and I think an ipad might make me happy too. I have found a new author I like while I was away. He has 14 novels in a series and the central character reminds me of me. He was a military child and worked until his Thirties in a very disciplined way. Now (novels 1-3) he’s just drifting as an antidote to all those years of duty. I know how he feels and I am drawing lots of inspiration from his new way of operating and recognising myself in him. Everyone needs a hero; quelle co-incidence (not) that I should find him just when I need him. Back to my Kindle now to finish off the third book with just a delicious eleven more to follow. And the time to read and enjoy them, luxuriously. Fantastic. What a great year you have planned. do write as it is lovely to read your thoughts but only if it is the you you intend to be. Glad Marion is still doing Marion stuff .. life is exciting for me on the relationship front – and that feels like a big holiday!! Welcome to the club. Being is the most therapeutic thing one can do for themselves.!! Wow! I expect this will be a real journey for you. Feeling very slightly envious, but I will have my time too! Am sure you will have a fantastic and extremely interesting time and looking forward to hearing about it at some point. Fanatastic Judith! Well done you! We only live once…. Look foward to hearing from you again when your year is up albeit will be looking out for any updates per chance but will know the plan is working if we don’t hear from you! Congratulations you brave woman. Congratulations on this…what a wonderful inspirational step to take…I hope your happiness grows,expands, splashes over and then bubbles up all over again..
To echo Yvonne…you go girrllll! How about “Not-working is the new networking” ?